The executive chairman of Loan Market has said that he believes the government will seek to retain trail commissions for brokers but suggests that brokers look to diversify now regardless. Speaking at the Loan Market Connect conference 2018, held in the Gold Coast this week, the executive chairman of Loan Market, Sam White, outlined his thoughts on the Productivity Commission’s (PC) recommendation to government that trail commission be removed. Mr White said that, of all the commissions and inquiries that have looked at this sector recently, the PC report was “always the one that people were most nervous about”, and that it was “always going to be the most challenging report”, given the attitudes and conclusions of the PC’s draft report. While the brokerage head said that he “fundamentally disagreed” with the trail removal recommendation, he added that the move was a “major step forward from where we could have been”. However, the Loan Market head said he did not believe that trail would be removed by the government. Mr White echoed the concern that “another big danger” of removing trail is that it would make it harder for smaller lenders to compete, “because they will need more capital to pay the upfront, so there will be more cost of capital that goes into those loans that means that customer pay a higher interest rate”. According to Mr White, instead of removing trail, the government should recommend that there be a “codification of the expectation that brokers keep in contact with their clients” as part of the trail commission framework, which he added good brokers already do. In conclusion, Mr White acknowledged that his predictions “could be wrong”, and, therefore, told delegates that his “biggest message is: don’t waste time. Don’t hold back and consider whether you should or shouldn’t do something, go and help customers now". 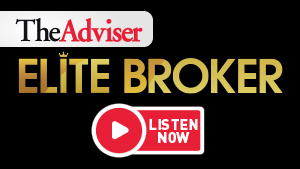 Mr White concluded: “So, losing trail is not going to be the end of the broker… The brokers that run good businesses and have good trust with their clients will continue to do that. The reason why we should keep trail is because it will help with better customer outcomes.